New Club Holds Panel on Inequality in the United States | The Gettysburgian. Tristan Chen gets club recognized by Student Senate. Screengrab from April 1 Student Senate meeting. Last Thursday night in Mara Auditorium, a new club called The Half That’s Never Been Told held an introductory event entitled “Addressing American Inequality and An Introduction to a New Academic and Philanthropic Club.” President Tristan Chen ‘20 and then-Vice President David A. Roskos ‘20, who is now the club’s Community Service Coordinator, hosted the first club meeting, which was co-sponsored by Phi Gamma Delta and Sigma Alpha Epsilon. Chen, diversity chair of Phi Gamma Delta, said he hoped to spark conversation between Greek life and the cultural clubs on Gettysburg’s campus. He ended up comparing himself to Emmett Till, offending the room. During the lecture, Chen expressed his experience with racism in the United States. 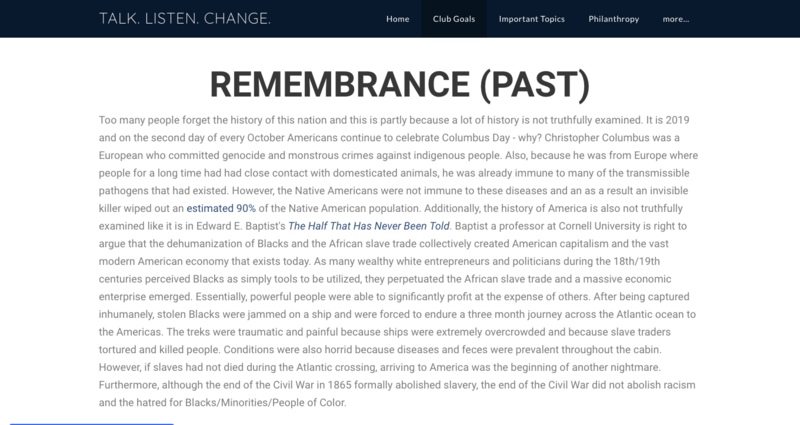 While telling the story of an instance of a group of white men calling out the n-word in his direction, Chen stated, “And in that moment I felt like Emmett Till.” Many people in the room immediately raised their hands to object, including the club’s advisor, Dr. Scott Hancock, Chair of the History department and Associate Professor of History and Africana Studies. The floor then opened up and students shared a microphone to address the club’s intentions, Chen, and other students in attendance. Students asked why no women or representatives of the cultural groups with whom the club wants to connect were on the executive board. Others were upset at Chen for making the comparison to Emmett Till and trying to speak for the black community and other communities that he is not a part of. A few students, however, defended Chen, including Lloyd Williams ’22 and Brian Brady ’20, both of whom contended that Chen’s intentions were good and improvements will be made to the club. A few more hands raised and voices called out, but Chen pushed forward and the meeting continued. He talked about injustice in America towards all people of color and members of the LGBTQ community, and the brutality of American colonization. Brady did agree that the first meeting was a rough start, but has hope for the future. He then outlined the club’s mission. Chen had originally presented the club to Student Senate as an academic and philanthropic organization and did not mention his or the club’s affiliation with the Greek community. Currently, the group is raising money for ThriveDC, an organization fighting the hunger crisis and homelessness in DC. Their first mission of active philanthropy is to sort food cans at a food bank in Mechanicsburg, PA. 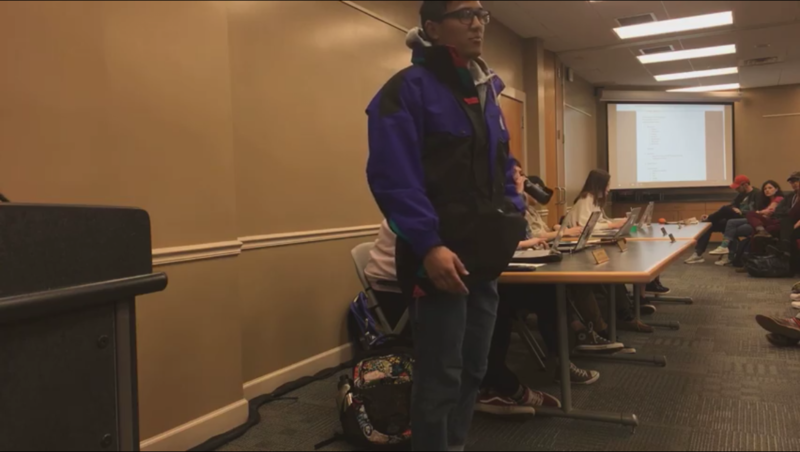 Multiple students expressed their confusion and concern about the disconnect between Chen and Roskos speeches. One general sentiment that several students in attendance addressed was how the food drive and Chen’s thoughts were aligning into one organization. Many students still feel conflicted over the club’s intentions and how they plan on proceeding. For a while, a multitude of students and clubs have talked about integrating cultural clubs more and making a connection with different types of organizations on campus. Many became frustrated when now suddenly, there was an intersectional club that would give Greek life the credit and not the cultural groups who have been pursuing this issue such as the “Let’s Talk About It” series, which seeks to “bridge gaps between clubs, get new perspectives, and provide a safe space for open dialogue, much-needed conversations, and free-thinking,” its advertising materials say. Tristan Chen …. at least you were the recipient of intolerance by fellow students and a faculty member while still in school. Not after 45+ years and millions in contributions to the College. Bob Garthwait set an example of what class means …. sad the folks @ Mara aren’t/weren’t any match for Bob. I’m the faculty member to whom you are presumably referring. If by “intolerance” you’re referring to the statement that infers I attempted to prevent Tristan Chen from speaking and acting, please be assured that was not the case. As a faculty member and simply as human being, I have a responsibility to assist students in doing their best work possible, and in this case I don’t think I did that. Had I done so, perhaps some of the problematic and inaccurate parts of the presentation would have been avoided. It is not “intolerance” to challenge & help students to be as thorough as possible in their preparation, whether for a classroom project or a public presentation such as Tristan gave.